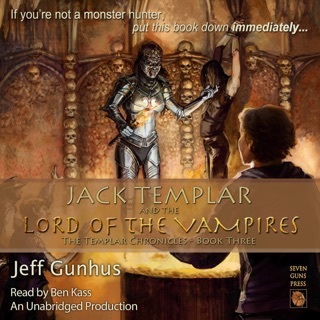 Fresh from confronting the Lord of the Vampires in the limestone catacombs beneath Paris, Jack Templar faces his toughest challenge yet as he searches for the next Jerusalem Stone, this one being held by the Lord of the Werewolves. But the narrow escape from the vampire lair came at a great cost and Eva battles for her survival. The only chance to help Eva is to continue their quest and find the Jerusalem Stones. Reuniting the Stones will not only stop Ren Lucre's coming war against mankind, but also transform Eva back into her human self. 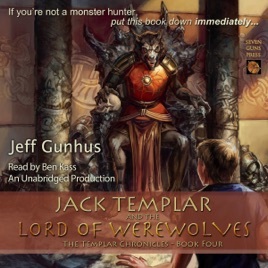 From the ruins of ancient Delhi to the depths of the Black Forest in Germany, Jack and his friends face monsters, bewildering riddles, and treachery from the most unlikely of places. Through it all, they are plagued by the Oracle's prediction that at least one of their group will not make it through the adventure alive. Worse yet, they know that Kaeden, the Lord of the Werewolves, will do his best to make sure none of them do. But they are monster hunters of the Black Guard... and they will do their duty, come what may.